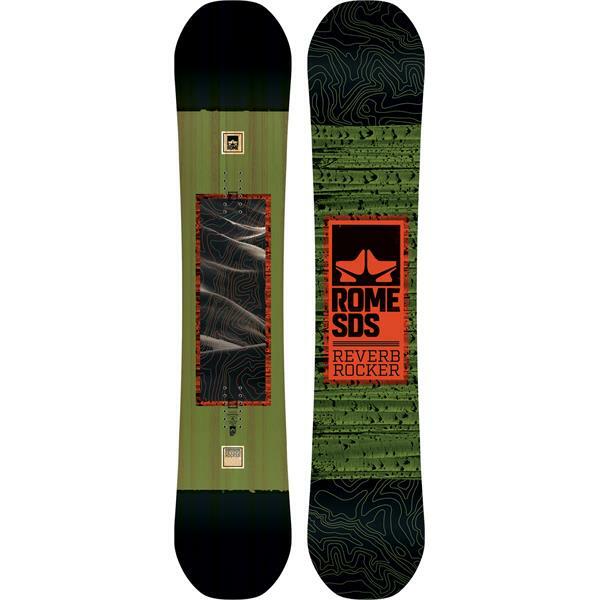 The Reverb Rocker from Rome is here to stick by your side for those early season hike sessions, all the way to the spring party boarding laps. A true twin profile, with Rome's MtnPop Rocker, allows for a playful and loose feel while adding Rome's HotRod's Bamboo Single Barrel for extra pop and snap, and an ultra-responsive deck. A medium flexing board, for maximum good times, will always have you coming back for more year after year. Local park rats, new soul turners, and riders ballin' on a budget, all know the Reverb Rocker is the best choice for their riding.